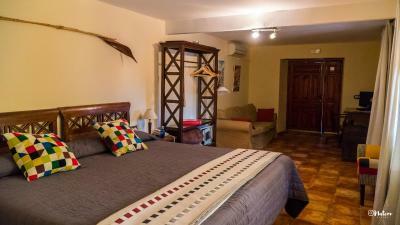 Lock in a great price for Molino la Nava – rated 9.4 by recent guests! We would like to enjoy a few days in the midst of nowhere to calm down from our sight seeing tours...and this was the perfect place doing this. 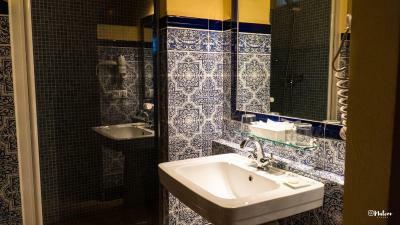 Very friendly staff, delicious food and the room no. 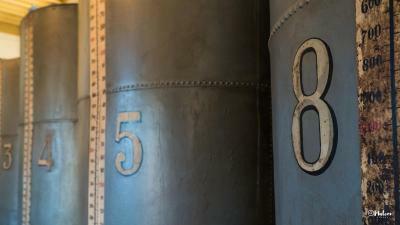 6 is fabulous. Enjoyed the days a lot. Highly recommended. 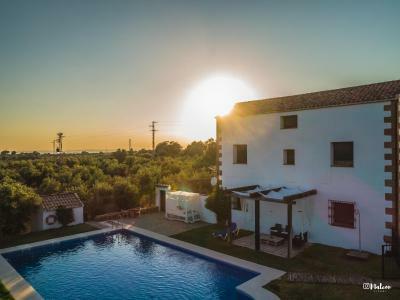 Super friendly & helpful staff, location out among the olive orchard was so peaceful, beds were very comfortable, wonderful swimming pool out in nature & peaceful setting. Everything about this place was to our liking. If you want to get away from it all, this is the place to be. 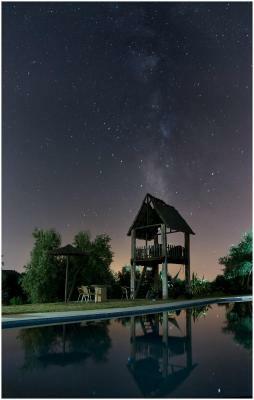 Very nice place with a lot of charm. 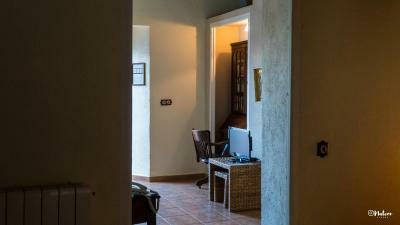 Quiet, big rooms(room number 5) in the country side. Very good breakfast and nice staff. Very generous breakfast and nice supper. 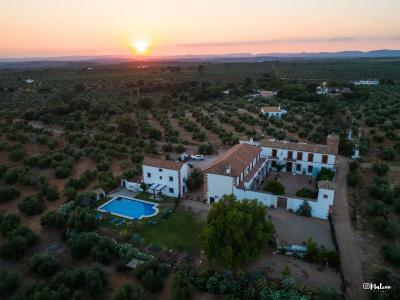 Beautiful remote location in the olive groves. Helpful staff. Spacious room. Nice looking pool area, but too cold this time of year. 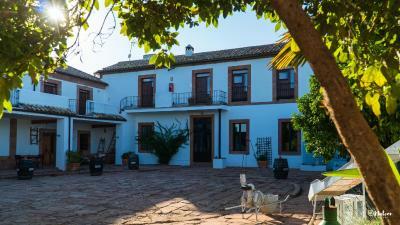 The welcome was warm and friendly, and we were given a complementary glass of cava. 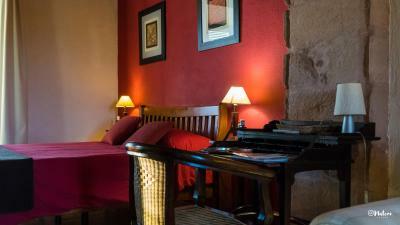 We were also given an upgrade to a junior suite, which was very comfortable. 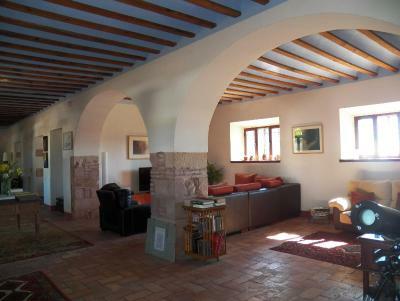 The property, having been formerly an olive mill, had character, and was set amongst olive groves, with good views. We took a short walk along the quiet lane before dinner. Dinner was adequate, though not extra special, and reasonable value for money. The staff were very nice to us. Breakfast was good,. 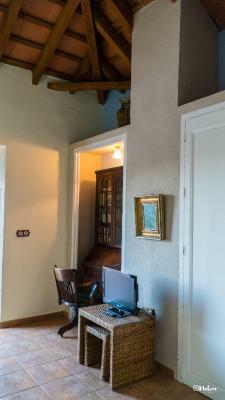 If you have an upstairs room access is from the exterior, and you need to go up several stone steps. 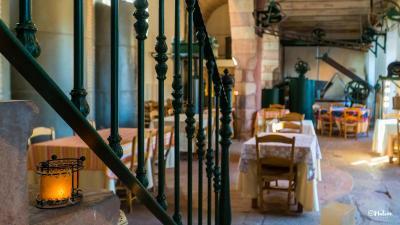 It is part of the charm of this old building, in keeping with its character. Fortunately it was dry and not too cold. The staff were really friendly and helpful. 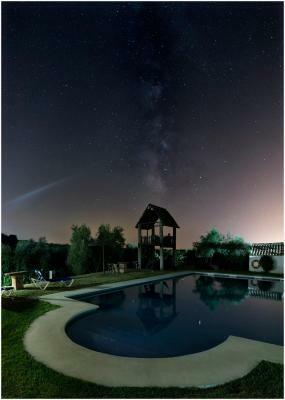 The location was terrific and the overall ambience of the hotel was very relaxing, we would definitely stay there again. Everything was perfect. Wonderful staff, great breakfast. Lovely place ti get recharged. I will come back for sure. 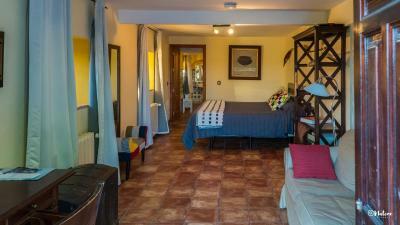 Lovely room and beautiful pool area all spotless clean, great staff, look forward to our next stay. 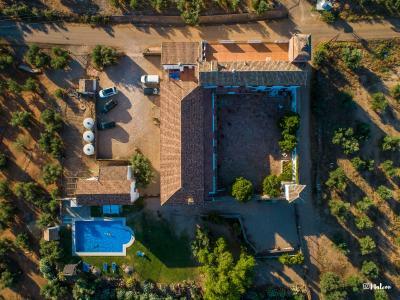 Set in the beautiful countryside of the Cordoba region of Andalusia, within an olive field, this country house is set in an old oil mill, dating from the 18th century. 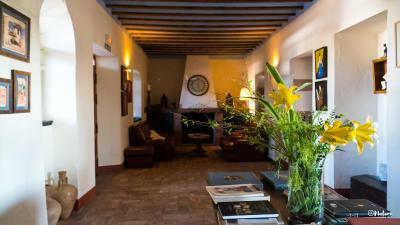 Molino La Nava is ideal accommodations to get away from it all, and unwind. 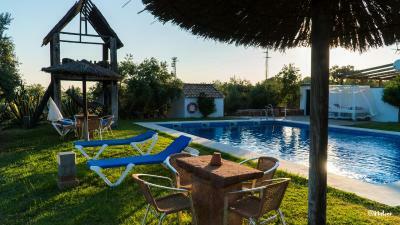 It is set in extensive olive groves, near the rolling hills of the Sierra Morena. 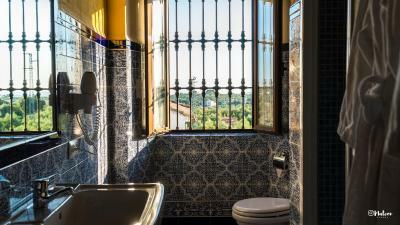 From here you can daytrip to the fantastic, historical city of Cordoba, with its famous Moorish mosque, which is 28 mi away. 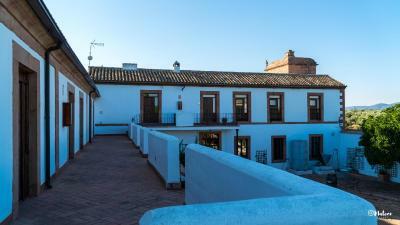 The nearby town of Montoro is also well worth the visit, with its whitewashed buildings and narrow streets. 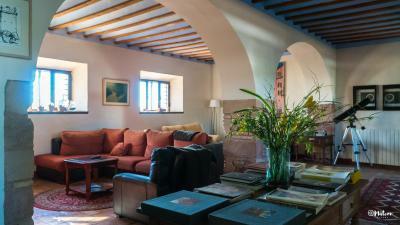 The country house has a large lounge area with fireplace, where you can relax and chat with friends or colleagues. 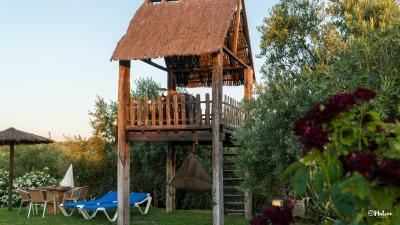 You can also enjoy the sunsets from the outdoor terrace, or surrounding olive groves. 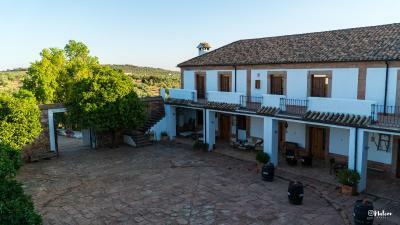 This property also has one of the top-rated locations in Montoro! Guests are happier about it compared to other properties in the area. 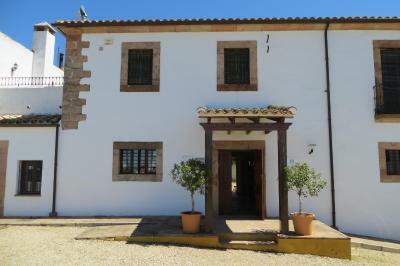 This property is also rated for the best value in Montoro! Guests are getting more for their money when compared to other properties in this city. 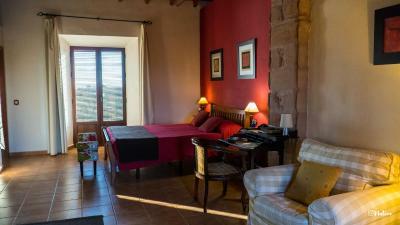 When would you like to stay at Molino la Nava? 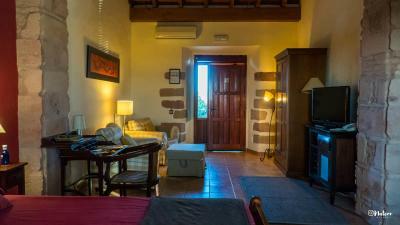 Rustic-style room equipped with air conditioning, heating and a TV. 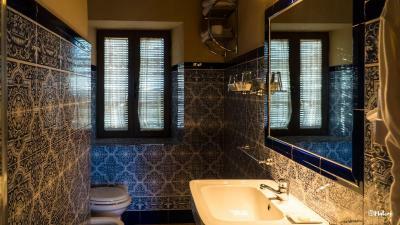 The spacious bathroom with shower includes a bathrobe, hairdryer and amenities. 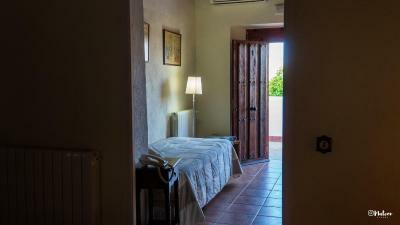 These are more spacious room types. 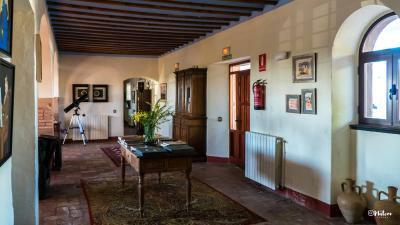 House Rules Molino la Nava takes special requests – add in the next step! 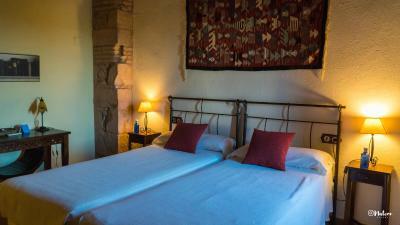 All children under 6 years are charged EUR 16.50 per night for extra beds. Molino la Nava accepts these cards and reserves the right to temporarily hold an amount prior to arrival. Please note that reception hours are from 09:00 to 22:00. Please inform Molino la Nava of your expected arrival time in advance. You can use the Special Requests box when booking, or contact the property directly using the contact details in your confirmation. Breakfast could have more variety. The location and the building itself has a lot of character. Good G & T's! Very friendly. Good food. 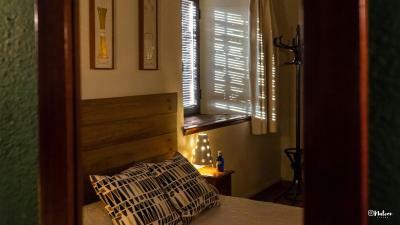 My only complaint is that the lighting was very poor in the evenings - not enough light to read by in the bedroom. It's a shame there isn't one main overhead light as well as the lamps. The lighting in the main sittings rooms was also a little challenging for reading in the evenings and I had to use the torch on my iphone. Sorry to say as everything else is so lovely. 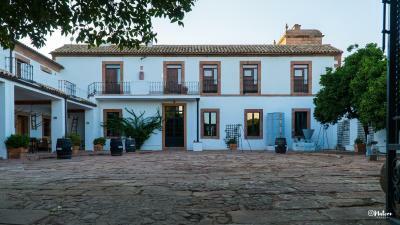 We stayed here as my husband needed a base for exploring the Adujar National Park (Iberian Lynx spotting!) and it was a great choice. 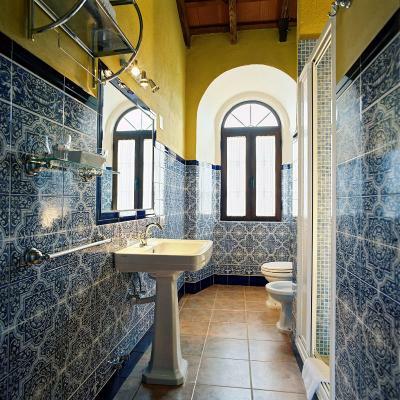 The room was huge with a gorgeous blue and white tiled bathroom and views over the adjoining olive groves for as far as the eye could see. 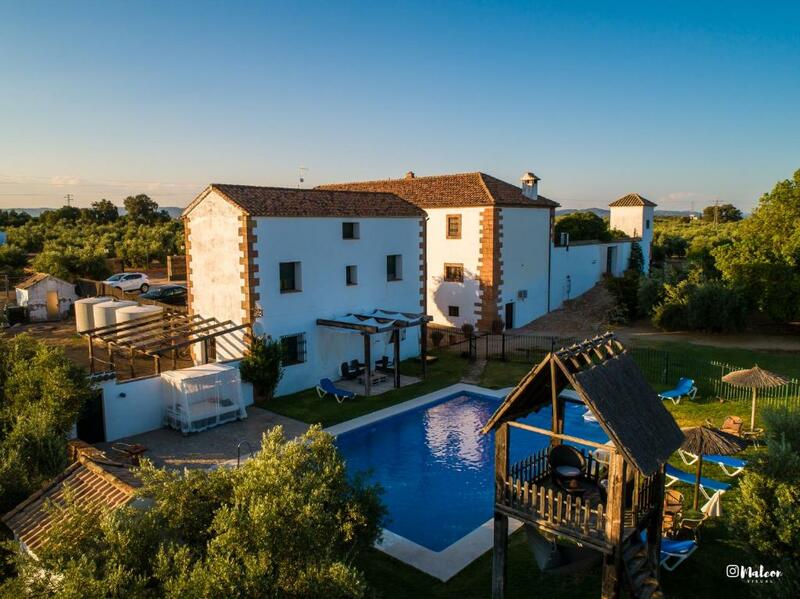 The place has been beautifully converted from an old olive mill and is filled with antiques, books and interesting nick-nacks. 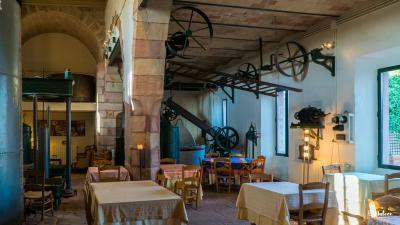 You can still see all the old olive pressing equipment in the huge dining room. 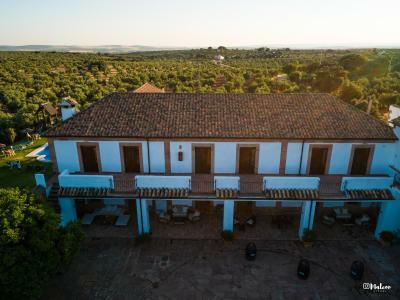 The rear courtyard is filled with orange trees and there are plenty of interesting birds that visit the property in the mornings. Pepe and May (and Sansa the dog) gave us a great welcome with a glass of Cava and for such a young couple, they are very professional and accomplished. They were always on hand to get us a coffee or a glass of wine if we called them by Whatsapp. This is the sort of place where you make yourself at home and enjoy the space and the peace and quiet. Do not expect loads of staff who will respond to your every whim! Despite only staying for two nights we had three large meals which were delicious - some of it was cooked by May and we were impressed by the quality. They also supplemented our meals with morsels of Iberian Ham and Croquetas as well as Manchego and crackers to go with our wine aperitifs. 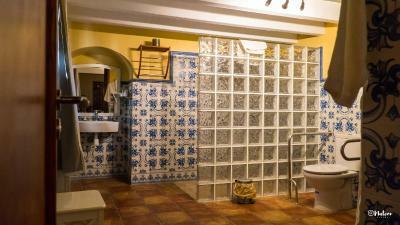 Just lovely - we didn't get this service at the following 250 euro a night hotel we stayed at in Granda! This place presents extremely good value for money. 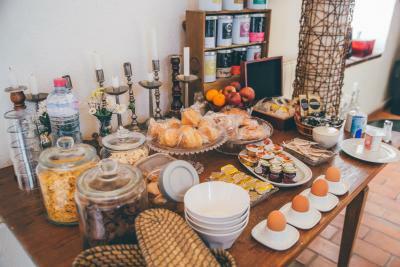 Breakfast was also huge with fruit, hams, eggs, croissants, toast etc. If you are into birds - go up to the park as we spotted Spanish Imperial Eagles, several species of vulture and many many other birds (but alas not the Lynx ;-) . If you're not into birds, go there anyway as it's a really beautiful drive. Pepe and May will give you lots of information about local wildlife. The room was freezing cold when we arrived and took a time to warm up. Not a good start, but improved afterwards. The lighting in the room was provided by several lamps, which added ambiance but did not provide adequate light for reading. This is why I have not given full marks for comfort, and perhaps I am being pernickety! Put Montoro in GPS, scroll down to Nava and it will take you to the road. It's a little past Nava. There is no Camino la Nava on GPS. Dinner was disappointing. would be better to have a limited or set menu. Not being able to stay longer! 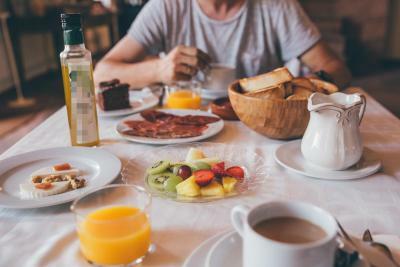 :-) Some breakfast items (traditional Spanish) were excellent whilst others (pastries and cereals) less so. English breakfast tea really should be an option at breakfast - Earl Grey just doesn't cut it for a morning cuppa. 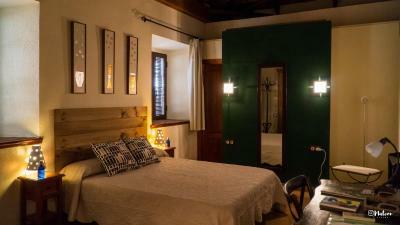 This converted olive press, located along a country road in an beautiful olive grove, was a delight to stay in. Mai and her partner Pepe created a welcoming and caring atmosphere rarely encountered in the leisurely industry. 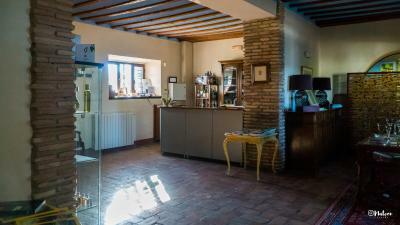 The dozen or so rooms are charmingly rustic with a dining room tastefully set amongst the olive oil presses, now museum pieces, which we loved.